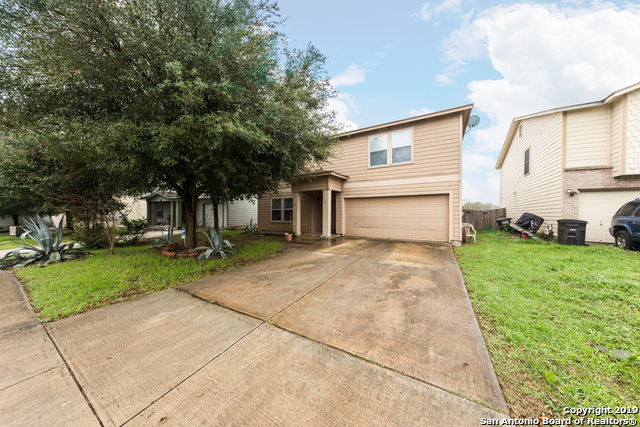 All CHESTNUT SPRINGS homes currently listed for sale in San Antonio as of 04/24/2019 are shown below. You can change the search criteria at any time by pressing the 'Change Search' button below. "Amazing very spacious 5 Bedroom home, with many recent updates including new flooring, fresh paint, new back splash, new appliances." "Come see this very spacious home with over 3,200 sq. ft. of living space. All bedrooms are upstairs and very spacious as well. 16 tile floors throughout the first floor. Open living area and dining room. Large backyard with no properties facing the rear (greenbelt). Chestnut springs is a quiet neighborhood with easy access to hwy 151 & loop 410. Close to many shops and restaurants in the area. You can also enjoy a quiet walk at the neighborhood Wheeler Park."